Here’s what you read this cursed year. 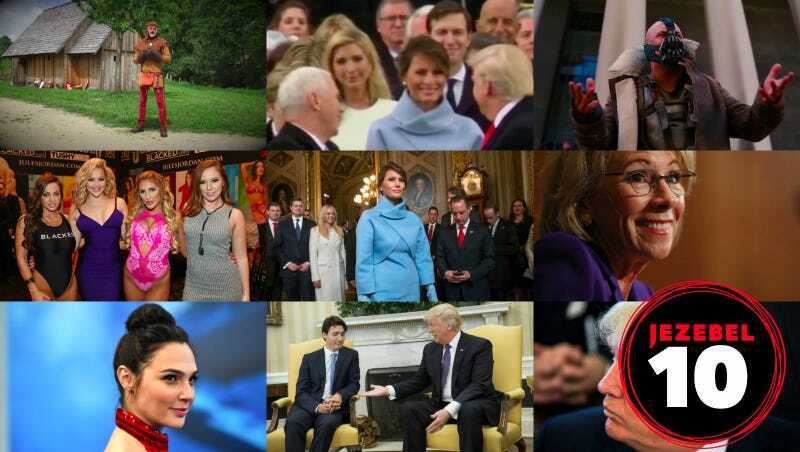 Our top post this year, by Stassa Edwards, was written just after Donald Trump’s inauguration and answered the question on everyone’s minds: just how bad should we feel for the reluctant First Lady? Ames was known to have suffered from depression. Adult film actors mourn the loss. You guys really loved “Is Melania happy or isn’t she?” content. An example of Trump borrowing from one of his role models. This story has everything: Wonder Woman! Gal Gadot! Sexual Harassment in Hollywood! I don’t know why you loved this as much as you did, but you really, really did. Yes, daddy Justin, foil that maneuver! Us on Trump on truth. A story about a bunch of idiots being idiots. Prosecutors are currently seeking the death penalty against the man accused of killing Nabra.